Richa Dubey's profession–running an online retail business that connects artisans with consumers–may not appear unusual for a modern Indian woman, but newly released data indicate just how much women lag men. Indeed, Dubey's business is bootstrapped, or self-financed. 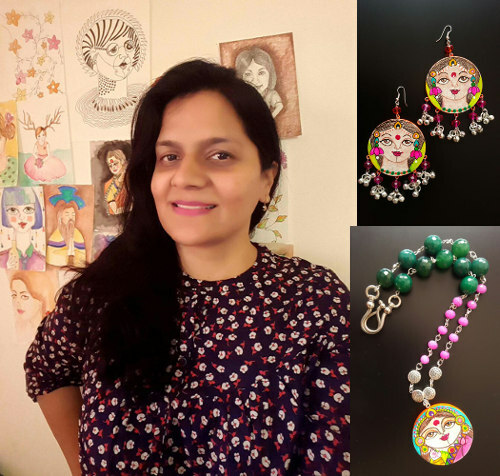 It's been five years since Dubey launched 22.2 Accessories, which works with around 30 rural artisans and their families, selling the accessories they make for women. "During my previous work with several fashion brands and travel in India, I realised that craftsmen and artisans in India do not earn their worth, unlike their counterparts in developed nations," said Dubey. "They hardly get their due, which motivated me to start my own venture." "I cannot imagine myself being an entrepreneur in UP," said Dubey of her home state. "It is much easier to be a woman entrepreneur in southern India compared to the Hindi heartland." Dubey's company, with a team of six–managing administration and logistics–falls under the 83.19% of establishments that have at least one hired worker, indicating that most businesses run by women are small-scale. Back in Bengaluru, Dubey dreams of expanding her business to more states and working with more artisans and craftsmen, an exception to the women withdrawing from India's workforce, even as they become healthier and more educated. As many as 25 million women have left the Indian labour force over the past 10 years, as IndiaSpend reported in April. No more than 27% of Indian women are in the labour force, the second-lowest rate of female labour-force participation in South Asia after Pakistan, where female labour-force participation is rising. India's is falling.